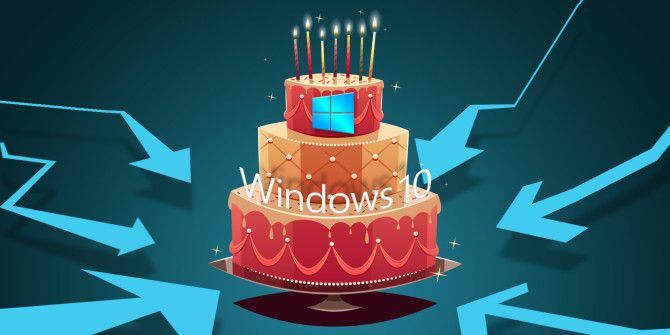 Windows 10 version 1607, also known as the Anniversary Update Windows 10 Anniversary Update Due in July & These Are Its Best Features Windows 10 Anniversary Update Due in July & These Are Its Best Features You will love the Windows 10 Anniversary Update! The second big upgrade to Windows 10 since its launch in July 2015 is expected this summer. Here we highlight the most exciting features. Read More , was officially released on August 2, 2016. 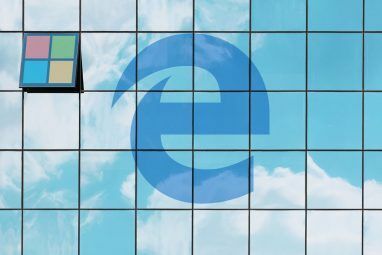 It’s the second major Windows 10 upgrade and it comes with many exciting new features, including Microsoft Edge browser extensions 10 Best Microsoft Edge Browser Extensions You Should Try Today 10 Best Microsoft Edge Browser Extensions You Should Try Today The latest Windows 10 Upgrade finally brings browser extensions to Microsoft Edge. We have examined the handful of extensions available and show you which ones are worth your time. Read More , Windows Ink, and new Cortana features. The upgrade is currently rolling out to Windows 10 systems worldwide. If you haven’t received the Anniversary Update yet or if you would like to install it from scratch, here is every possible way you can install Windows 10 version 1607 right now. Do make sure to read our notes before you upgrade! This major Windows 10 upgrade is not to be taken lightly! Before upgrading, you should take the same precautions you would if you were re-installing your system. We recommend to back up your personal data 5 Basic Backup Facts Every Windows User Should Know 5 Basic Backup Facts Every Windows User Should Know We never tire to remind you to make backups and keep your data safe. If you're wondering what, how often, and where you should back up your files, we have straight forward answers. Read More and prepare a system image with a tool like Macrium Reflect. A system image will allow you to restore your system in case the upgrade gets stuck or the rollback option fails. Windows 10 can and will deactivate incompatible software, including third-party Start Menus (e.g. Classic Shell), system and anti-malware tools, or unsigned hardware drivers Take Back Control Over Driver Updates in Windows 10 Take Back Control Over Driver Updates in Windows 10 A bad Windows driver can ruin your day. In Windows 10, Windows Update automatically updates hardware drivers. If you suffer the consequences, let us show you how to roll back your driver and block future... Read More . The good news is that unsigned drivers are not an issue if you upgrade from one Windows 10 version to the next. Moreover, some developers will update affected applications to be compatible with Windows 10 version 1607. Nevertheless, be sure to back up your license keys Getting a New Computer or Reinstalling Windows? Make a List Of Your License Keys Getting a New Computer or Reinstalling Windows? Make a List Of Your License Keys Imagine you re-installed Windows and discovered halfway through that you're missing the license keys to some of your programs. Save yourself a headache and keep a list of your product keys for emergencies. Read More , back up your data The Ultimate Windows 10 Data Backup Guide The Ultimate Windows 10 Data Backup Guide We've summarized every backup, restore, recovery, and repair option we could find on Windows 10. Use our simple tips and never despair over lost data again! Read More , and update your software before upgrading. If you find that programs are missing after you upgrade — Windows 10 will provide you with a list — you can try to reinstall them. You’ll find your data backed up in the Windows.old folder. If you just upgraded to Windows 10 from Windows 7 or 8.1, note that the Anniversary Update will replace your Windows.old folder Free Up Disk Space by Removing Windows.old Folder Free Up Disk Space by Removing Windows.old Folder Windows prepares an automatic backup before you re-install. The Windows.old folder includes user profiles and personal files. Here's how to restore the data and remove the folder to free up space. Read More with new files. This automatic backup allows you to roll back to your old Windows installation How to Downgrade from Windows 10 to Windows 7 or 8.1 How to Downgrade from Windows 10 to Windows 7 or 8.1 Windows 10 is here and maybe it's not what you expected. If you already upgraded, you can perform a rollback. And if you haven't yet, create a system backup first. We show you how. Read More . If you’d like to keep this option open, follow our instructions on how to roll back indefinitely 3 Ways to Downgrade Windows 10 & Rollback to Windows 7 or 8.1 Indefinitely 3 Ways to Downgrade Windows 10 & Rollback to Windows 7 or 8.1 Indefinitely You've either upgraded to Windows 10 to secure a free copy or were upgraded forcefully. We share three tricks that will help you downgrade now or later and save you if your upgrade failed. Read More . If you’re already on Windows 10 and using the Home edition, by default you have no choice but to accept the update whenever it arrives. You may be able to temporarily disable Windows Update 7 Ways to Temporarily Turn Off Windows Update in Windows 10 7 Ways to Temporarily Turn Off Windows Update in Windows 10 Windows Update keeps your system patched and safe. In Windows 10 you're at the mercy of Microsoft's schedule unless you know hidden settings and tweaks. So, keep Windows Update under control. Read More , but we strongly advise against it. Alternatively, you could upgrade to Windows 10 Pro How to Upgrade from Windows 10 Home to Professional Edition How to Upgrade from Windows 10 Home to Professional Edition Windows 10 Home users are missing several subtle features. Pro users, for example, can temporarily defer Windows updates. We show you how you can upgrade to the Pro edition to regain some control over Windows... Read More or install the Group Policy Editor How to Access the Group Policy Editor, Even in Windows Home & Settings to Try How to Access the Group Policy Editor, Even in Windows Home & Settings to Try Group Policy is a power tool that lets you access advanced system settings. We'll show you how to access it or set it up in Windows Home and 5+ powerful Group Policies to boot. Read More to access advanced settings (see below). Meanwhile, Windows 10 Pro, Education, and Enterprise users can defer upgrades and updates for several months How to Manage Windows Update in Windows 10 How to Manage Windows Update in Windows 10 For control freaks, Windows Update is a nightmare. It works in the background, and keeps your system safe and running smoothly. We show you how it works and what you can customize. Read More . Go to Start > Settings or press Windows key + I and head to Update & security > Windows Update. Under Advanced options you can choose to Defer upgrades. More advanced settings are available in the Group Policy Editor 12 Ways Windows Group Policy Can Make Your PC Better 12 Ways Windows Group Policy Can Make Your PC Better The Windows Group Policy grants you advanced control over your system, without having to mess with the registry. We'll show you how to easily customize Windows in ways you didn't think were possible. Read More . Here you can choose for how long updates will be deferred. To open the editor, press Windows key + Q, type gpedit.msc, and select Edit group policy. Now navigate to Computer Configuration > Administrative Templates > Windows Components > Windows Update, double-click Defer Upgrades and Updates, and customize the setting. Note: This Group Policy setting may not be available in future version of Windows. The Anniversary Update is currently being rolled out to all Windows 10 users. If you would like to upgrade immediately, you have several options. You’ll need to run Windows 10 version 1511 with all the latest updates installed. If you’re on Windows 10 Pro, make sure you didn’t disable or defer upgrades (see above). The update may have already been downloaded to your system or you may be able to trigger the download manually. Note that if you proceed with the installation by rebooting, your system will not be available for a significant amount of time. You can use the Windows 10 Media Creation Tool to download Windows 10 ISO files and create installation media How to Create Windows 10 Installation Media How to Create Windows 10 Installation Media Regardless of how you arrived at Windows 10, there's a way to create your own installation media. Sooner or later you might need it. Let us show you how to be prepared. Read More . The tool always features the latest version of Windows (presently version 1607). This is the best option if you would like to prepare a fresh install of Windows 10 4 Ways to Reset Windows 10 and Reinstall From Scratch 4 Ways to Reset Windows 10 and Reinstall From Scratch Windows 10 is still Windows, meaning it will need a fresh start every once in a while. We show you how you can get a fresh Windows 10 installation with as little effort as possible. Read More . Note: If your system comes with UEFI BIOS What Is UEFI And How Does It Keep You More Secure? What Is UEFI And How Does It Keep You More Secure? Read More and supports secure boot, a clean Windows 10 installation may demand signed drivers. If this is an issue, you can enter the BIOS How to Enter the BIOS on Your Computer How to Enter the BIOS on Your Computer To get into the BIOS, you usually press a specific key at the right time. Here's how to enter the BIOS on Windows 10. Read More and turn off secure boot or switch to BIOS-compatible start mode. Microsoft is offering an upgrade assistant to help you with a smooth transition. Head to the Windows 10 update history page and press Get the Anniversary Update now button. This will download a Windows 10 Upgrade EXE file. Run the executable to start the Windows 10 Update Assistant. When you click Update Now the tool will check your system for compatibility. Should your system be compatible, waiting for the timer to finish its countdown or clicking Next will initiate the update. Reader Michael wondered what to do with the Upgrade Assistant once the the Windows 10 installation has completed. Well, you can uninstall it or keep it for your next upgrade. The free upgrade to Windows 10 ended on July 29. If you missed out on getting your digital Windows 10 entitlement Everything You Should Know About Windows Product Keys Everything You Should Know About Windows Product Keys 25 characters govern your Windows system. Your product key is worth $100 or more, whether or not you upgraded to Windows 10. We explain what you can and can't do with your Windows license. Read More , you now need to pay $119 to purchase a Windows 10 license; in theory. Fortunately, Microsoft has left open a couple of backdoors. Users who rely on any kind of assistive technology can continue to upgrade to Windows 10 for free. The thing is, Microsoft doesn’t check whether or not you really do. Here is how you can upgrade using the assistive technology route Missed the Free Windows 10 Upgrade? Psst, Here's a Backdoor! Missed the Free Windows 10 Upgrade? Psst, Here's a Backdoor! The upgrade to Windows 10 remains free for users who depend on assistive technologies. However, Microsoft doesn't check whether you really do. We show you how you can use this backdoor to get Windows 10. Read More . Briefly, head to the Windows 10 Accessibility Upgrade page, click Upgrade Now, and accept the download for the Windows 10 Upgrade Assistant. This is the same assistant described above. Run the tool, follow the on-screen instructions, and keep your Windows 7, 8, or 8.1 product key ready. If you have previously created installation media for Windows 10 or if you can get your hands on one from a friend, you can continue to install Windows 10 for free and from scratch, using your Windows 7, 8, or 8.1 product key. As a Windows Insider, you have essentially been running the Anniversary Update for the past month, minus some bug fixes. If you’re on the slow ring, you will soon be upgraded to the latest version. To upgrade now, you can switch to the fast ring. Open the Settings app, go to Update & security > Windows Insider Program, and under Choose your Insider level switch from Slow to Fast. After changing this setting, switch to the Windows Update tab and click Check for updates now. Rebooting might help with bringing up the latest Fast Ring update…well…faster. Welcome to the next level of Windows 10. We hope your upgrade went smoothly and you’re enjoying all the new features. And we’d love to hear from you! How was your upgrade experience? If you ran into issues, what were they and how did you solve them? Which new Windows 10 features do you enjoy the most? Please share with us in the comments! Explore more about: Windows 10, Windows 7, Windows 8, Windows 8.1, Windows Update, Windows Upgrade. What is the app you used to blur out the texts on the product key screenshot? That's amazing. thanks a bunch. Cheers! Hi, when I updated from win 10 with anniversary update, my system got struck. ( I have made an ISO in a DVD). I have a valid win 8.1, which was updated to win 10 earlier . Panicked, I went to a local software shop, there they installed a pirated win 8.1. Now again I want to update to win 10 with anniversary update. Can I directly upgrade my system from this pirated 8.1 version to win 10 anniversary update with the DVD? Can I copy the ISO from DVD to some Drive in system and can mount it directly? If your system came with Windows 8, there's a chance you have an UEFI BIOS. If you do, then Windows 10 should automatically activate when you install it on the same hardware because you secured your digital entitlement when you first upgraded to Windows 10 before July 29. If you log into Windows using your Microsoft account, then the Anniversary Update will have associated your account with your Windows 10 license, meaning you should be able to install and activate Windows 10 on that same machine, even if you don't have an UEFI BIOS. You can use the ISO with your DVD if the DVD is bootable. Make sure the BIOS is set to boot from DVD. You can also mount the ISO from inside Windows 8.1 and start the installation process; Windows 8 can mount ISO files natively. The MCT is still downloading the 1511 copy of Windows 10. Maybe there were too many issues with 1607 and they reverted until further notice. Can I still upgrade to win 10 from a pirate copy of 7? Technically, yes. Legally, no, you never could. Chandu, Windows 7 Ultimate was eligible for an upgrade to Windows 10 Pro. Please refer to this section in the article: "Upgrading from Windows 7, 8, or 8.1 via the Backdoor". You can still upgrade with method 1, if you don't already have Windows 10 installation media from a previous attempt to upgrade (method 2). The Media Creation Tool (MCT) downloaded to a flash drive is the preferred method for receiving the Anniversary Update version 1607. Many people tried the "Get the Anniversary Update Now" download button and ended up with an error code Ox80070057. The MCT takes 30 minutes to download to a flash. Then proceed to File Explorer >This PC >Click on flash drive >Click on "setup.exe". Bingo, installation begins, taking about one hour. The MCT is the best and safest way to perform Windows version updates!!! Thank you for the tip, Wayne! Having the installation files on a flash drive as a backup is a good idea anyway. Also helps if you need to upgrade more than one computer; in that case you can conserve your internet bandwidth because you have to download the files only once. I created a boot disc with Windows 10 Anniversary. Downloaded an ISO file and created the disc from that. When I try to boot from the disc (or from a thumb drive) I get a message saying no boot disc found. I hear the dvd drive running, so that's not the problem. I sent the ssd back to the manufacturer for warranty replacement, so that's not an option. Suggestions? Could it be that your BIOS isn't set to boot from your DVD drive? Enter the BIOS and change the boot order. I upgraded to the Anniversary edition but do not see a confirmation that it is on my PC when I go to SETTINGS|SYSTEM or UPDATE. Where does Windows 10 display it has been updated? Press Windows key + Q, enter winver, hit Enter, and you should see that you're running Windows 10 version 1607. You'll see the same information under Settings (Windows key + I) > System > About > Version. Thanks - wasn't aware that 1607 meant Anniversary Edition. Regarding Michael's comment, where and what is the name of the upgrade assistant program that I can safely uninstall? The Upgrade Assistant is a program mentioned above. It can be used to upgrade to the latest version of Windows 10. If you didn't use it to upgrade, it won't be installed. Else you'll find it in your list of programs. Hit Windows + Q and search for "Windows 10 Upgrade Assistant". It's a Desktop app. I used the windows 10 upgrade assistant just this morning to go from 15xx to 1607 and it was smooth sailing. I just spoke with a MS tech a few hours ago on a follow up call and I asked him about the windows 10 upgrade assistant program as it physically installs on your system. He said it can be safely uninstalled and removed once the update has finished, it won't be used again. So if you're like me and were wondering what to do with this new program and icon on the desktop, now ya know. I just finished upgrading 3 Dell PCs via the Assistive Technologies path. They were all Dell PCs, 1 Windows 7 and 2 Windows 8.1. The Del XPS 2720 didn't update as smoothly, it ran for over 24 hours without finishing before I powered off, waited 15 minutes, then powered back on. It started up, presumably where the upgrade left off, and completed successfully ()of the 3, this one upgraded to Windows 10 Pro). All 3 were Anniversary update versions. No driver issues. I already have 2 other WIN10 machines (a Kangaroo and another Dell laptop) - the Kangaroo required some manipulation to upgrade the Anniversary version as it wanted all the disk space on the C: drive, which is difficult because it's only 30GB total and most is used up by the OS and apps. But Kangaroo support worked with me to get this done. Microsoft was supposed to enable updates from an external drive (which I have connected), but it required some manual file movement to accomplish this. Thank you for sharing your experience, Dave! Good to hear that a reboot during installation doesn't completely ruin it. Your comments on updating from an external drive might have inspired an article idea. Thank you for that! Is it a gift though? Wonderful comments! They remind me of the importance to back up all of your files. Although the comments below don't strike me as particularly backup-inspiring, it's true that backing up is always important, regardless of what operating system you're on. Maybe you were referring to my comments in the article? :) Thank you for your comment and the reminder, Warren. Since installing Upgrade my audio is muffled. Does anyone have a solution? It's possible that the upgrade botched some audio driver settings. Did you try the sound troubleshooter? Right-click the speaker icon in the system tray and select the troubleshoot option or press Windows key + Q and search for fix audio. What's your sound card and did you try to update the driver? Word of caution: there are reports Windows 10 Anniversary Update may not play nice with partitioned hard drives. Some users are reporting one hard drive partition not found after the W10 Update is installed. Thank you for the heads-up, Lou! Hadn't received the Win 10 Anniversary update version 1607 on 8-3-16. Decided to download it myself via the Media Creation Tool method to a USB drive. This download took a half hour. I then went to File Explorer and clicked on This PC showing all drives. Clicked on the USB drive and then clicked on file "setup.exe". Bingo, the update started and completed in one hour. It allowed me to keep all my apps and files. Thank you for sharing your route to upgrading Windows 10, Wayne!